Two uses in one! 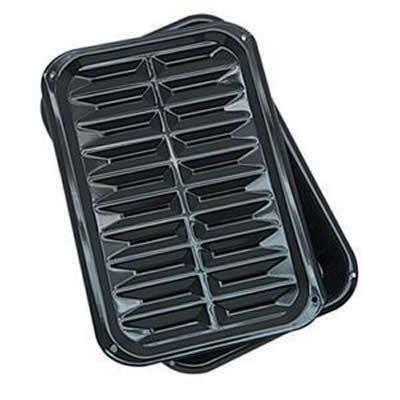 Broil healthy and tasty meats with a grill-like finish, and then use the bottom pan for baking delicious pan dishes like corn bread and brownies. You'll love broiling seafood, beef, pork, sausage and more. The high cooking temperature locks in juices and speeds up cooking time, while fat drips through the grate and is caught in the pan below. Great for busy kitchens looking for fast meals and health-concious households who want to cut fat.